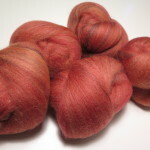 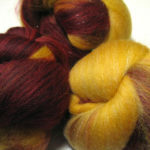 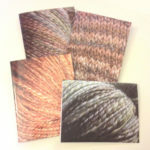 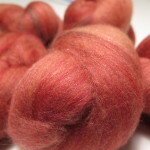 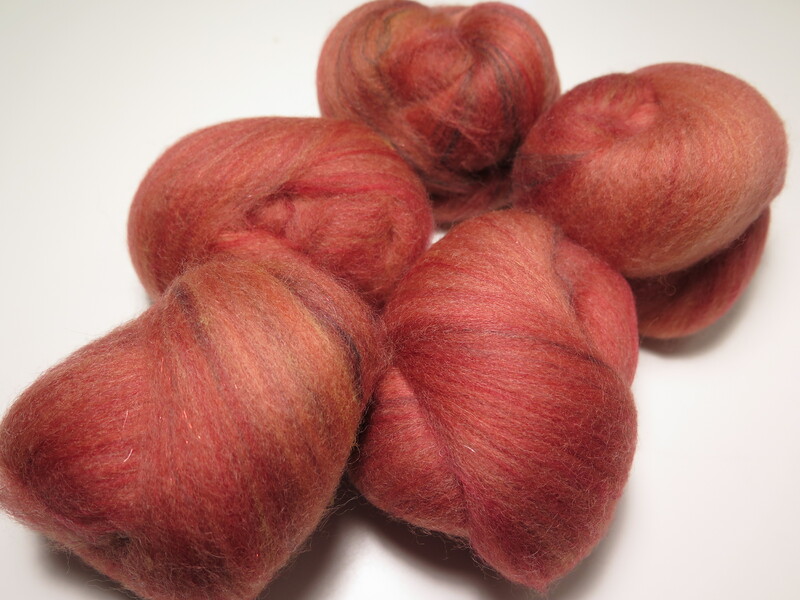 This 4-oz set of very fluffy batts is carded from superwash BFL with superwash merino, other superwash wool, bamboo rayon, and icicle, making a streaky slightly pinkish orange with touches of dark red, yellow, and dark grey, along with pinkish-orange sparkle. 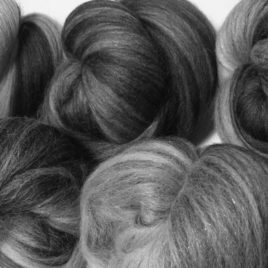 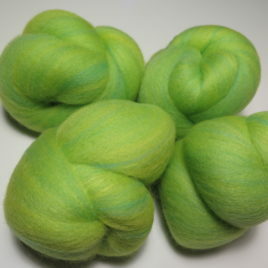 These batts should spin up smoothly and near-effortlessly into a very soft yarn. 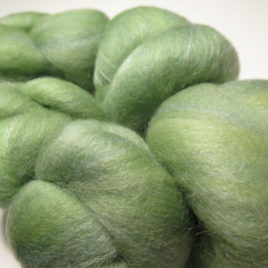 The BFL has some shine to it, and the icicle adds a bit of sparkle. 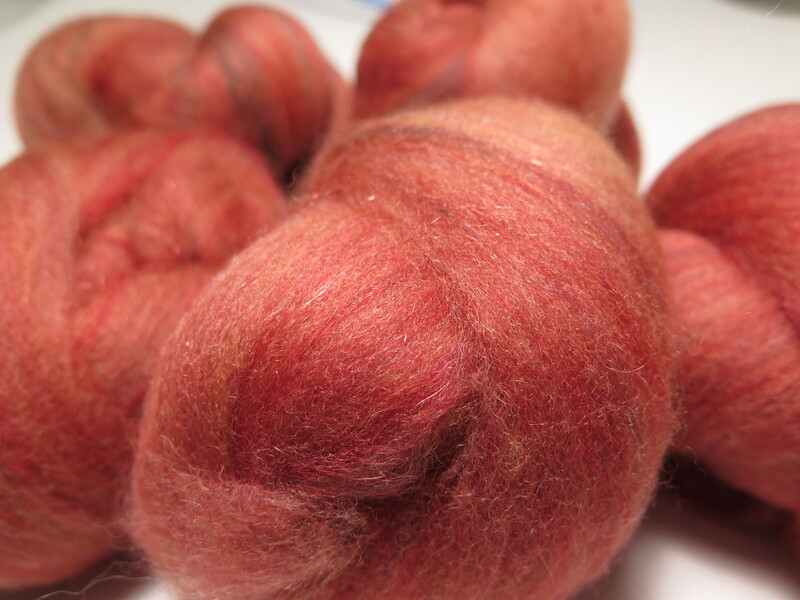 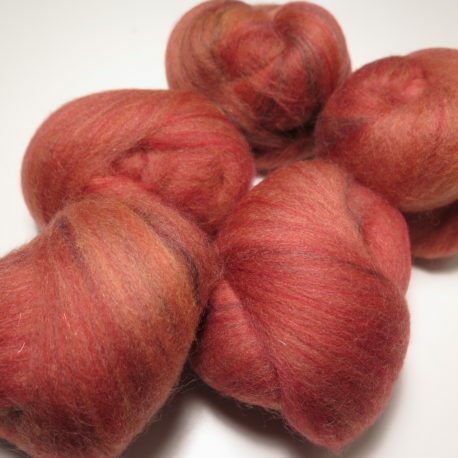 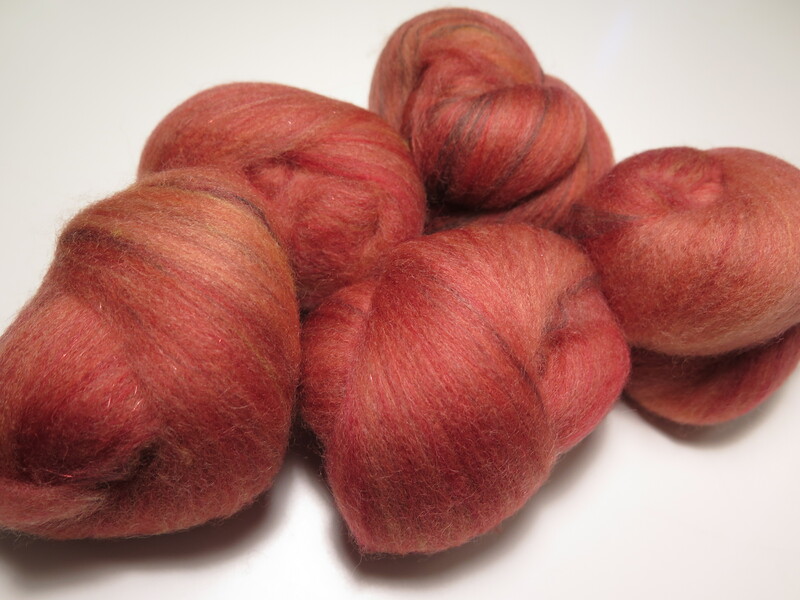 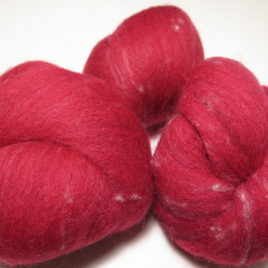 This blend could make quite nice sock or mitten yarn.